How To Change A Power Steering Pump? Where Is The Pump Located Under The Hood Of The Car? How Do You Remove Power Steering Pump On A 2002 Ford Taurus Ses. 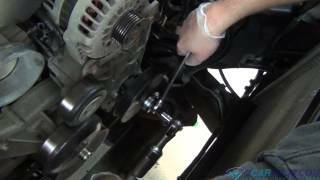 Easy step by step guide on how to remove a typical power steering pump pulley, though appearances may vary the process is the same for most vehicles.